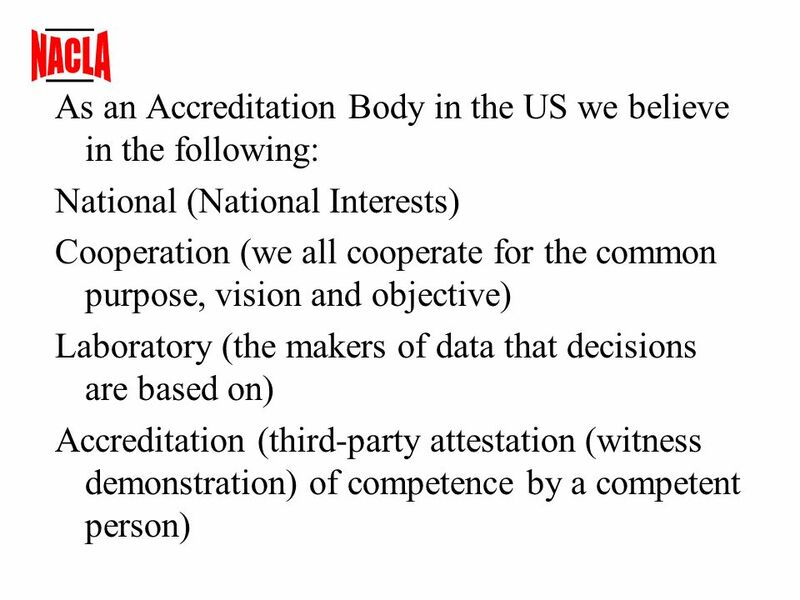 Why the United States needs NACLA Recognition of Accreditation Bodies One Accreditation Bodys Perspective. 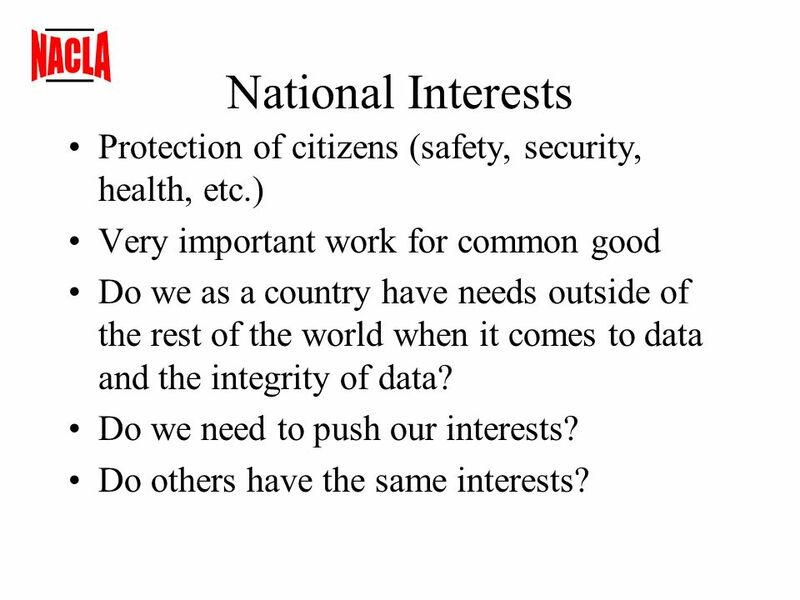 3 National Interests Protection of citizens (safety, security, health, etc.) Very important work for common good Do we as a country have needs outside of the rest of the world when it comes to data and the integrity of data? Do we need to push our interests? Do others have the same interests? 6 Accreditation Third Party coming in to confirm all the tools are there for someone –The key here is for whom are the confirmations (attestations) done –Other ABs –Regulators? –Specifiers? 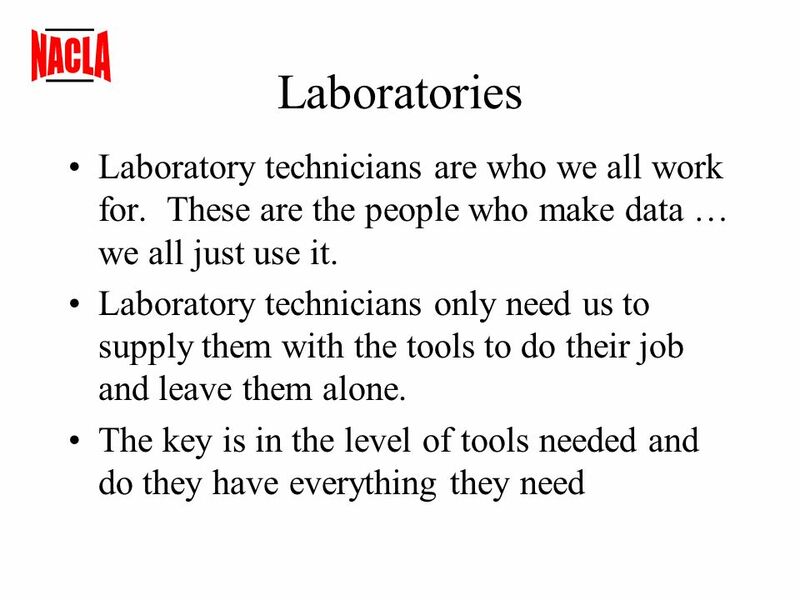 –The labs themselves? –National Interests? 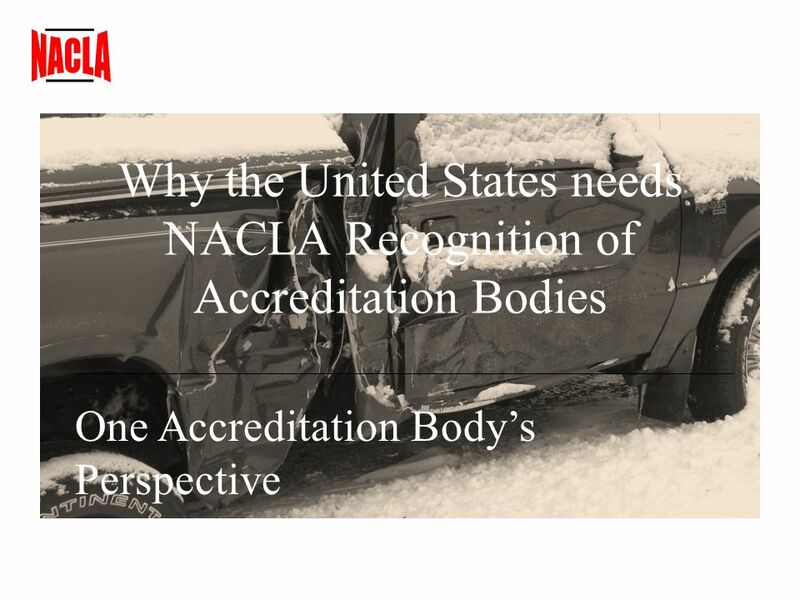 Download ppt "Why the United States needs NACLA Recognition of Accreditation Bodies One Accreditation Bodys Perspective." Establishing a New Accreditation Program in the U.S.
FHWA Qualification Requirements for Laboratories NACLA Forum February 11, 2009 Mike Rafalowski Materials Engineer Office of Pavement Technology Federal. 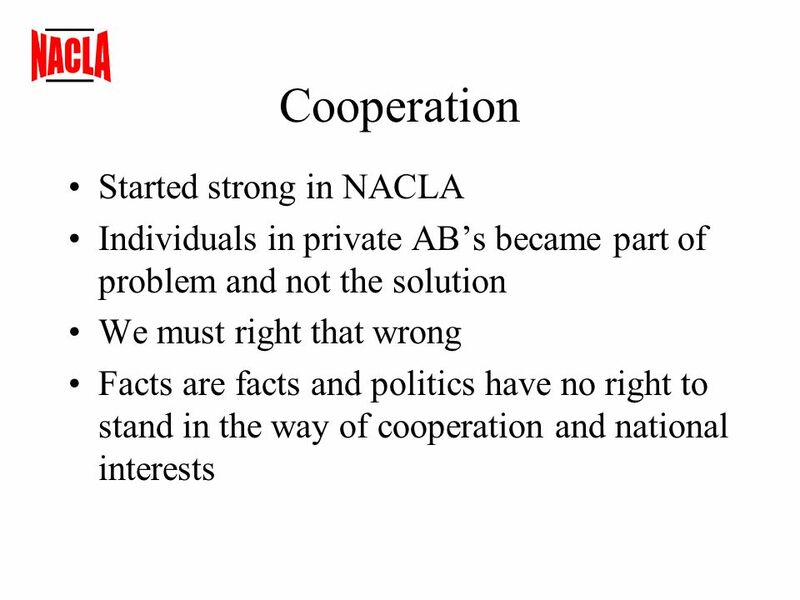 Why NACLA in the United States The Laboratorys Perspective. The National Standards and Quality System Jean-Louis Racine The World Bank Cambridge, England April 19, 2007 Knowledge Economy Forum VI Technology Acquisition. ILO Convention N o. 189 ILO Recommendation N o. 201 DECENT WORK FOR DOMESTIC WORKERS. Page 1 Legal Framework for e-Research e-RESEARCH and PRIVACY 12 July 2007 David Ruschena Health Legal. WHY DIDN’T THE HORSE DIE? Monday / July 30, 2012. 1 Assessment: Norms and Accreditation. Assessment: Norms and Accreditation-Module 11 2 Learning Objectives At the end of this module, participants will. Accreditation 1. Purpose of the Module - To create knowledge and understanding on accreditation system - To build capacity of National Governments/ focal. Conformity Assessment Practical Implications InterAgency Committee on Standards Policy June 2007 Gordon Gillerman Conformity Assessment Advisor Homeland. Copyright ©2011 by Pearson Education, Inc. publishing as Pearson [imprint] Professionalism: Skills for Workplace Success, 2/e Lydia E. Anderson Sandra. European Union. Which countries are members of the European Union? More than 25 Why did the European Union form? To encourage trade within Europe What. Randy Moss for President He doesn’t fumble.. Background Randall Gene Moss Originally from West Virginia Age – 38 D.O.B. – 02/13/1971 6’4’’, 210 lbs Gender. Accredited Third Party Certification and Food Safety Management Systems Jill Hollingsworth, DVM Group Vice President Food Marketing Institute. Industry Canada /strategis.ic.gc.ca Industrie Canada /strategis.ic.gc.ca 1 September 26, 2003, PCC.1 MRA Workshop Inter-American Mutual Recognition.